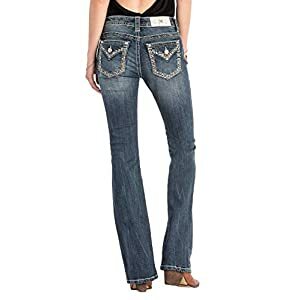 This boot cut jeans feature mid rise waist, classic five pocket styling, belt loops, and zip fly closure. 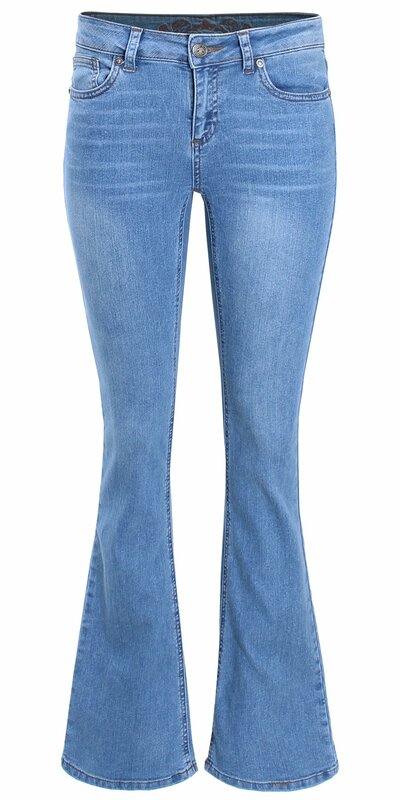 Straight fit with stretch throughout and flared boot cut bottom. Size Disclaimer: JUNIOR SIZE – ITEM RUNS SMALL. Please refer to our size chart (*~ Last Image~*) and order a size up if necessary. 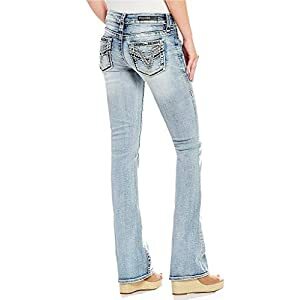 This boot cut jeans feature mid rise waist, classic five pocket styling, belt loops, and zip fly closure. Straight fit with stretch all over and flared boot cut bottom. Care Instructions: Machine wash cold. Don’t bleach. Iron low. Tumble dry low heat. Items might run small so please refer to our size chart (*~ Last Image~* or *~ Above~*) and order a size up if vital. Fits might vary by styles, body types, and manufacturer. Please understand size chart is for a guide. All measurements are approximate and will have 0.5~1 inch difference. We do our best to make sure our sizing is consistent but there will probably be a difference. Size Disclaimer: JUNIOR SIZE – ITEM RUNS SMALL. Please refer to our size chart (*~ Last Image~*) and order a size up if vital. Color Disclaimer: Actual color may well be different as a result of screen brightness.